You are here: Home / News & Articles / Why to select SEO Services? What is the buzz about SEO services? 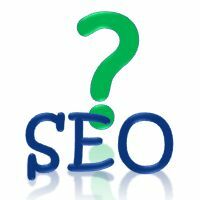 In fact what does SEO stand for? For the unenlightened it means “Search Engine Optimization”. It helps in gaining higher visibility and thereby higher ranking when search engines identify sites based on random keyword queries from web surfers. A well known truth is that any surfer will rarely go beyond the third page when they use a search engine to locate any subject matter or site. It is essential that your domain be ranked as high as possible and on the first three pages to get high volumes of traffic. When starting a home based internet business, and as long as you are online, this aspect will be crucial to your success on the internet. SEO is one of the main tools used in websites’ promotion as well as marketing, when starting a home based internet business. Any domain’s identification is very much dependent on the keywords that are linked to your website. These have to be accurately descriptive and very commonly used so that people who think of your business will use these keywords when searching for businesses such as yours. Only then will SEO services serve you best. Beginning a home based internet business can be a major success if your domain name is found within the first 20 results of organic searches. Studies have shown that people prefer to search for what they want; more than by clicking on ads or banners they see. Availing the services of a good SEO company can be invaluable to you when starting a home based internet business. This does not only help you in rankings and brings you in the “popular list”, it also keeps you visible. If your site is not accessed or pulled up in an organic search, you do not exist in the minds or eyes of the people on the Internet. Therefore an SEO not only will keep your business popular, it also leads to constant visibility. Beginning a home based internet business without visibility is similar to having a business on the moon. There will be no buyers if they are not aware of your existence. SEO services are done professionally using various techniques and methods. Flash pages are used for some whereas in some cases certain words link to your website through the repetition of certain keywords. Then others are done through Meta tags, with some being done through code linking with top search engines. Whatever or whichever method used it is always recommended to have a professional do this for you. In our competitive times starting a business online without utilizing the services of an SEO professional is not a good idea.